At a hearing that started Wednesday in a Delaware bankruptcy court and continued today, Dov Charney, the ousted CEO of American Apparel, has attempted to convince a judge to reject the company’s reorganization plan—a plan which would leave shareholders, including Charney, with nothing. American Apparel filed for Chapter 11 bankruptcy in October, and is seeking approval for a plan that would take the publicly traded company private, placing control in the hands of its largest bondholders and cutting approximately $200 million in debt. Charney—who founded the company in 1989 and was fired in December 2014, when American Apparel’s board accused him of sexual misconduct and misuse of company funds, which Charney denied—would obviously prefer a different plan, one that would allow him to regain control of the company he sees as having been unfairly wrested from him. 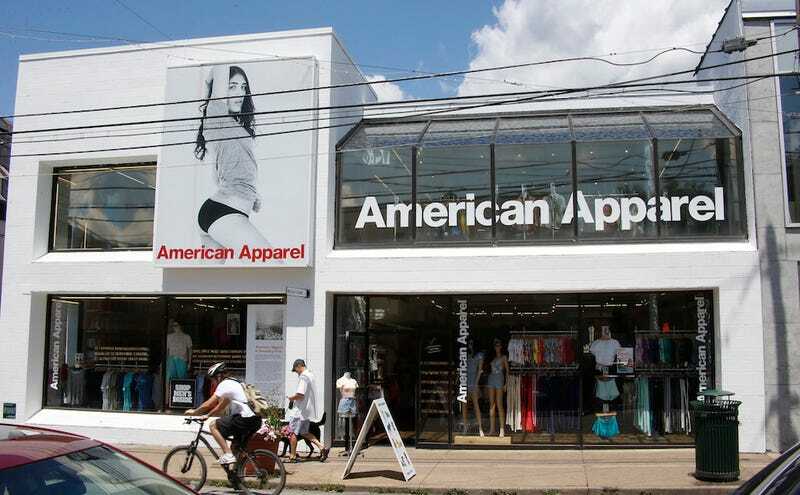 Hagan Capital Group and Silver Creek Capital Partners have offered to buy American Apparel and bring back Charney. Their offer, valued at about $320 million, was rejected by the board because it would add too much debt and because the retailer’s lenders opposed the offer, Schneider testified. Charney, according to Reuters, gave an “animated” testimony accusing the board of “blackmailing” him into leaving in mid-2014; he said that he faced “character assassination” if he did not take the offer. In animated testimony, Mr. Charney characterized the company’s snub as the latest move in a plot by current and former directors at the company, as well as onetime investment fund allies, that wrested control of the company from him and were now blocking his return. Much of her testimony described the apparel behemoth’s back-end operations as running more akin to a scrappy start-up than the multimillion-dollar, publicly traded company it had become. The details she shared are much of what she’s publicly said in multiple interviews throughout last year: no spring line when she joined in January 2015 following Charney’s firing; more than 70 people directly reporting to her; a looming bond payment due; four million units of slow-moving inventory, and the company was in the middle of a clearance process called the dot sale that ultimately did more harm than good.